It's never really been my thing to talk about the deaths of celebrities, especially on this blog. Life is hard enough without having to report about something or someone that you barely knew other than the image they choose to present to the public. But when it happens to someone who played a key part of your formative years, you can't help but mention, remember and honour the memory. With the recent deaths of David Bowie, Michael Jackson, Whitney Houston and now Prince, all legends, all incredible accomplished musicians and artists, it honestly feels like a constant punch to my childhood and teenage heart. 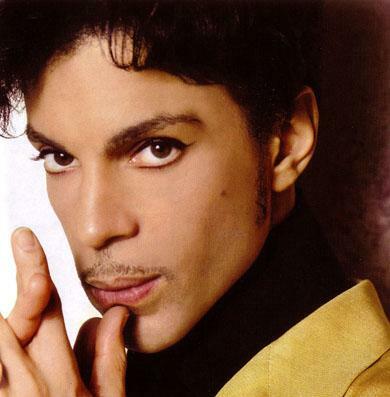 Prince was a big part of my teen years, and with my friends we went crazy when 'Lets Go Crazy' hit the radio. We danced every New Year to '1999', and still do. 'When Doves Cry' is implanted in the brain. And 'Purple Rain'? It was THE song of the 80s. It was played at every school dance, it was all over the radio, it was the song of a generation. As I grew older and really began to check and collect his extensive back music catalogue, there are so many funk/R&B jams that stand up to anything played today. I was and still am, very sorry I didn't have the opportunity to attend one of his amazing concerts, but I will always have the music. He has left one hell of a musical legacy behind, but it's one that I will continue to honour and treasure.